With my new found love of craft beer, my husband and I have been having fun exploring craft breweries both near and far. 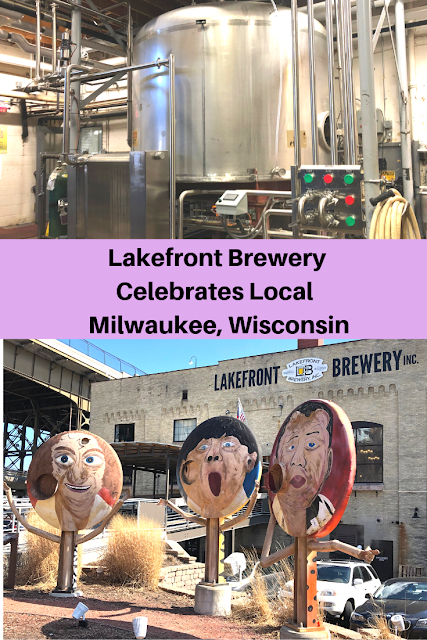 We discovered we had a free weekend day without our daughter, so we opted for a road trip to Milwaukee to explore Lakefront Brewery. The bar at Lakefront serves it up. We reserved our tours online and checked in at the front podium. We received four tokens each for the tastes that came with tour. Since we were early, we settled in with our first taste. Relaxing enjoying some of Milwaukee's Own Lakefront Brewery Beer. 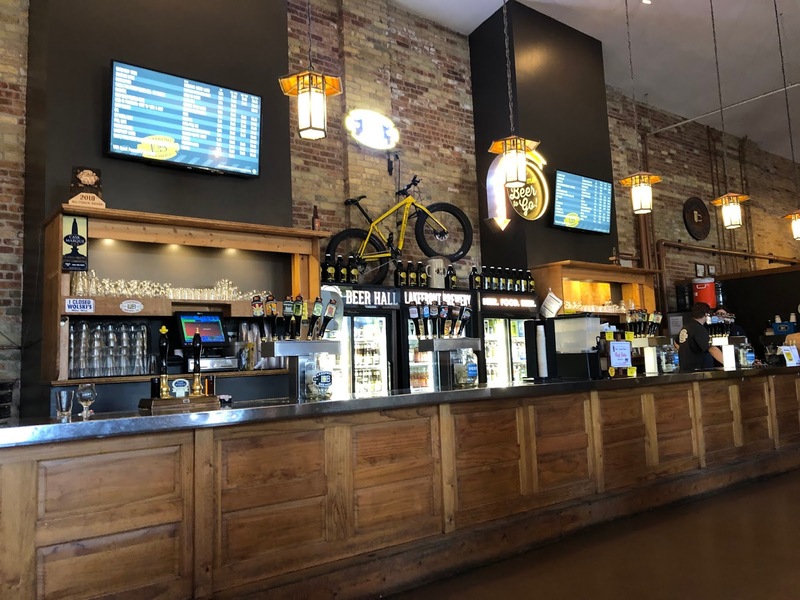 Overall, Lakefront Brewery has a large, open beer hall area with plenty of seating. Plus, the beer hall features a sizable food menu featuring many locally sourced items. I can see where the Beer Hall may get busy later in the day, so come early! The menu features pretzels, fried cheese curds, beer cheese fries, inventive spins on mac-and-cheese, sausage flights, salads and much more. Alas, we had eaten right before our visit so we will have to try munchies on a future visit. In fact, we already talking about returning.....so you know we loved Lakefront! After finishing our first taste, it was time to head on the tour. 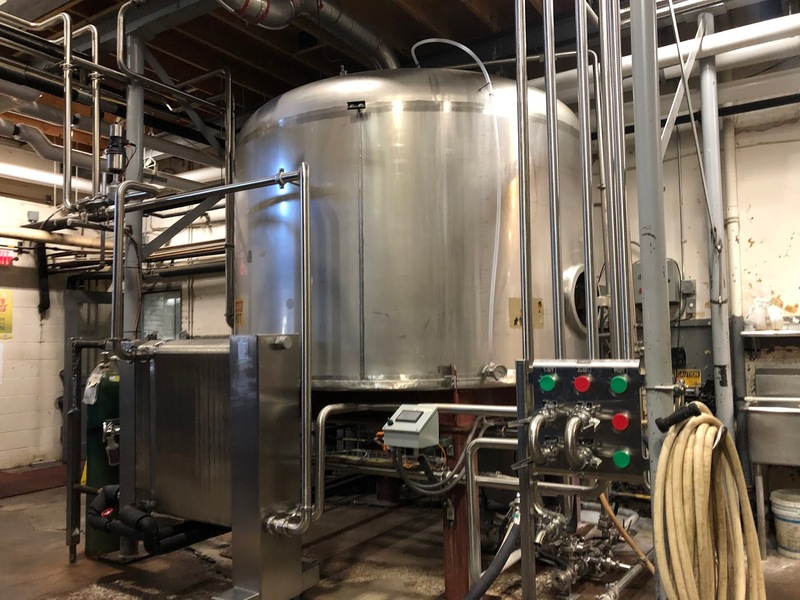 First, note that weekend tours Friday - Sunday allow you to tour the whole brewery. Tours during the rest of the week do not, since the brewery is in production. 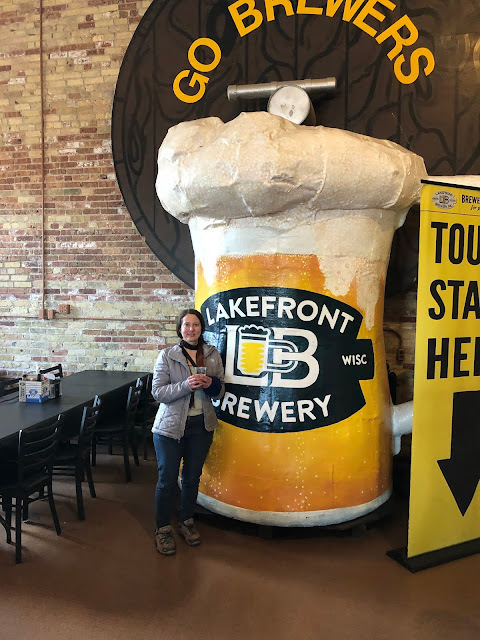 (We do want Lakefront to make beer, don't we?) So, you will view through windows. 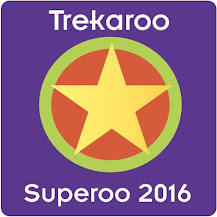 If you go on a weekend, I recommend reserving your tickets online because they can sell out. Be sure to grab one of your tastes before going on the tour. Learning about the brewing process on the production floor. The tour takes you right on the production floor of the microbrewery. The tour is pretty lively with fun jokes and even some audience participation. We learned not only about the current brewing process but also a little about the history of beer. I definitely learned a bit more about beer history than I knew before. 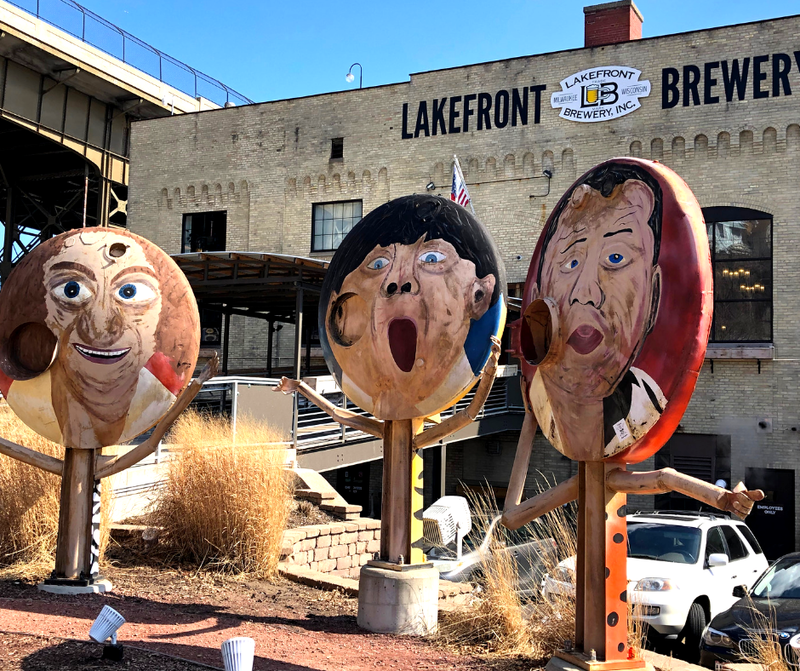 While Lakefront Brewery started back in 1987, its roots began further back when the Klisch brothers were home brewers. They started entering their beer in contests and winning. 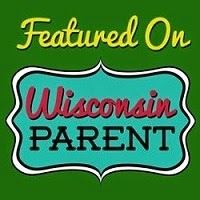 They were encouraged to formally start a business and Lakefront was born! From the very beginning, the Klisch brothers have been innovators. One of their achievements is creating the first government permitted gluten-free beer thus also creating a new category of beer. Posing with Bernie Brewer's Mug at Lakefront Brewery in Milwaukee. 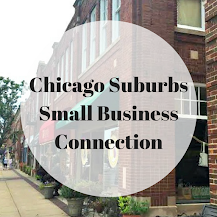 Lakefront's ties to the local community really impressed me. There are some historical items throughout the brewery and beer hall including the line featured in Laverne & Shirley. The brewery itself is inside of a former rehabbed coal power plant. The Klisch brothers also saved Bernie Brewer's Beer Chalet and Mug. The beer hall sources locally further displaying Lakefront's dedication to all things local. Lakefront's original three fermentation tanks were lovingly dubbed "The Three Stooges." They are still part of the brewery in the form of three sculptures crafted by a local artist, Paul Berkowitz. 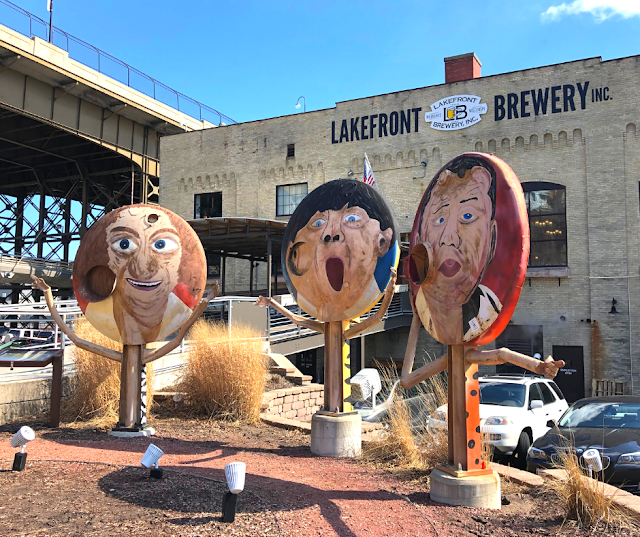 You can't miss them when you visit Lakefront and they really are a fun and unique piece of local art! The Three Stooges welcome brewery visitors! After the tour, we finished our last taste. Then, we returned our cup (which is compostable!) and received a souvenir glass with a coupon for a beer at one of several local eateries. I really love this finishing touch -- encouraging further local exploration! Lakefront certainly has a vibe all of its own. 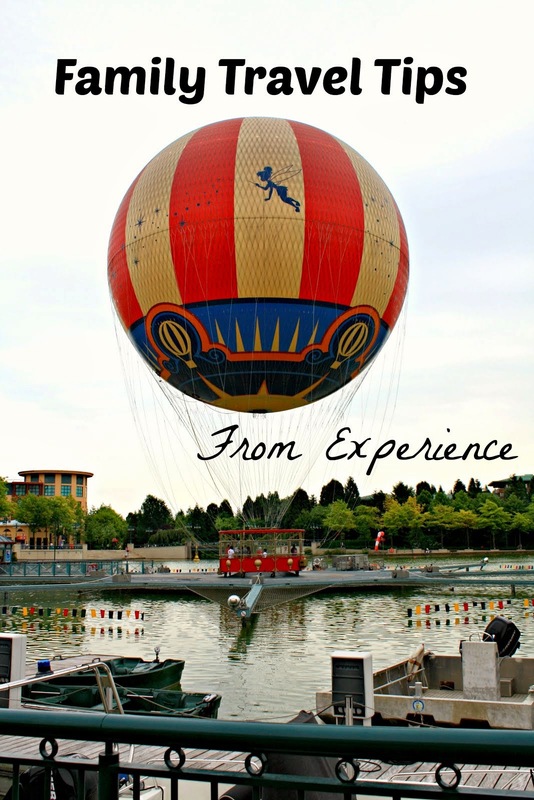 We loved the frivolity, imagination and community feel of Lakefront. 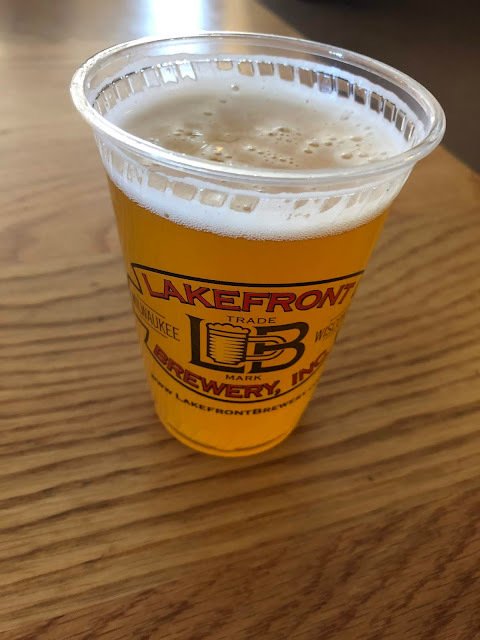 We can't wait to return for another fun and relaxing afternoon exploring the tastes and flavors of Lakefront!